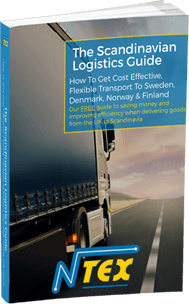 NTEX Ltd. is the region's leading shipping and freight forwarding Company, specialising in direct services to Scandinavia, as well as mainland europe and air-freight/deep-sea shipments worldwide. As our customer, you will have access to our experienced team who can guide you through the whole process. From initial booking to final delivery, we take care of everything - especially your cargo. Please feel free to contact us for more information, to obtain a no-obligation quote or to make a booking - we look forward to hearing from you. Provide quick and accurate responses to all inquiries. Maintain high quality before, during and after completion of an assignment. Have a well trained, dedicated and competent staff. Be quick, flexible, focused and provide frequent departures. Understand the entire business process and thereby allow for well-executed assignments. Comply with laws and regulations concerning transportation. Is It Time To Invest In A New Shipping Partner?